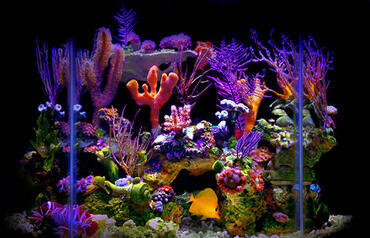 A brief introduction to saltwater aquariums. 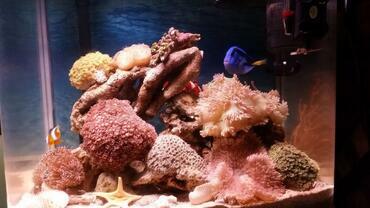 Different categories. 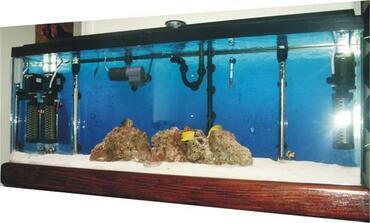 Pros and cons. 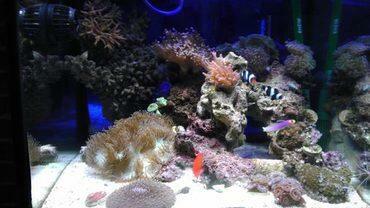 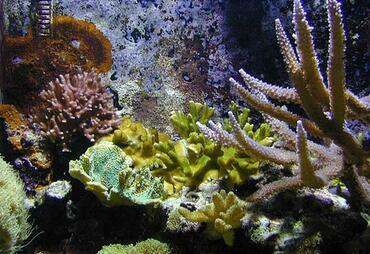 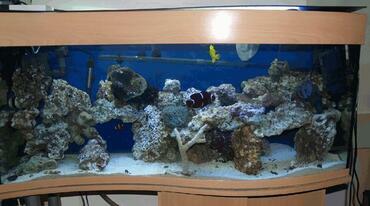 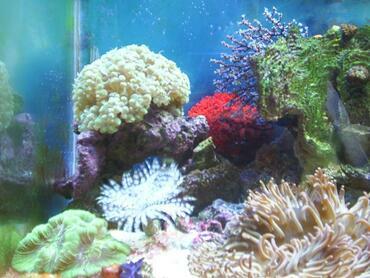 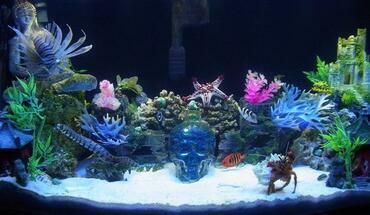 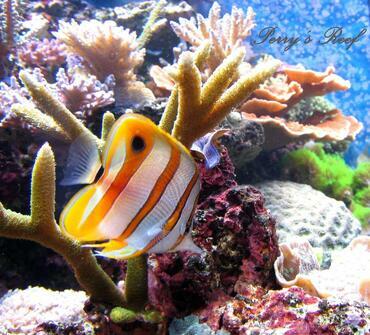 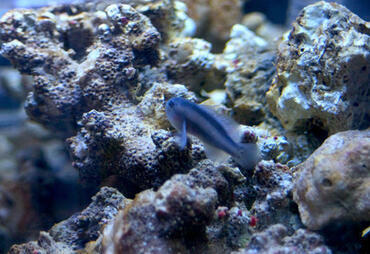 This article provides a brief introduction to saltwater aquariums. 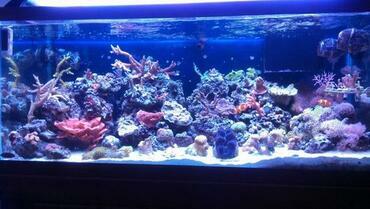 It will first provide a brief overview of saltwater aquarium along with a short history. 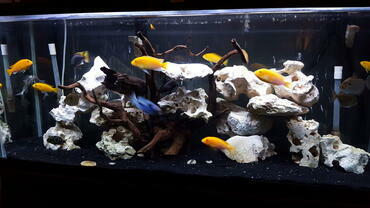 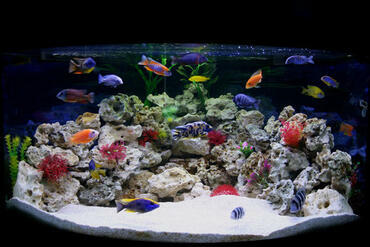 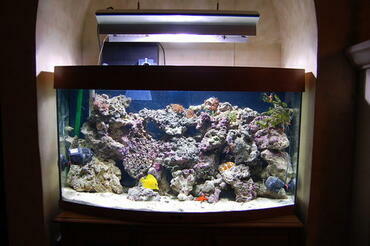 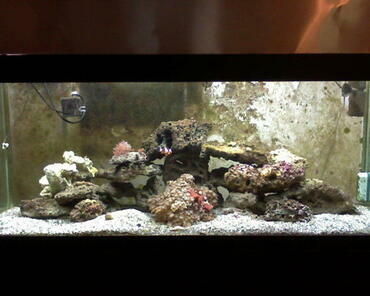 Then we'll discuss the different categories of saltwater aquariums. 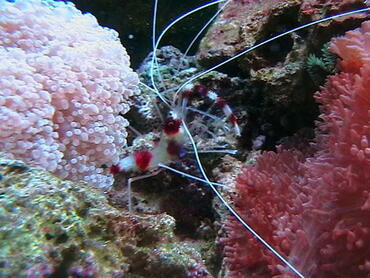 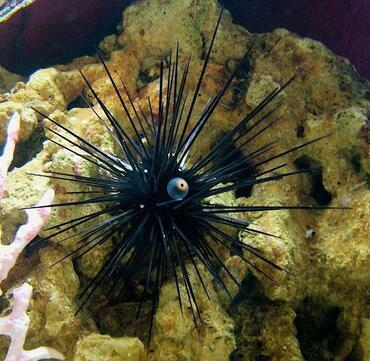 After that we'll go into more detail about what you might find in a saltwater aquarium. 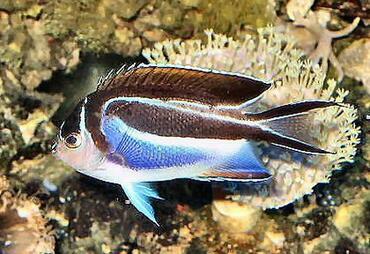 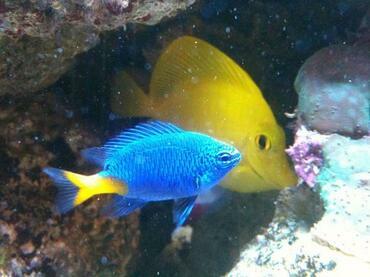 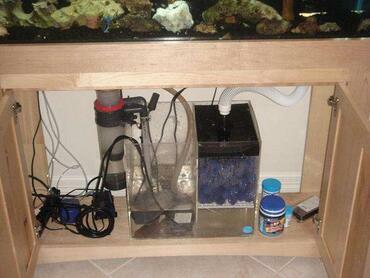 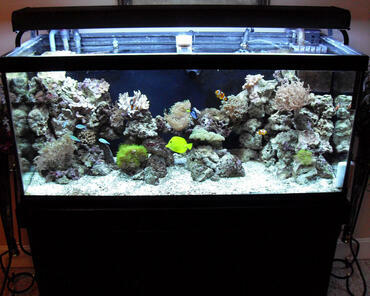 A lively discussion of pros and cons for keeping a saltwater aquarium follows. 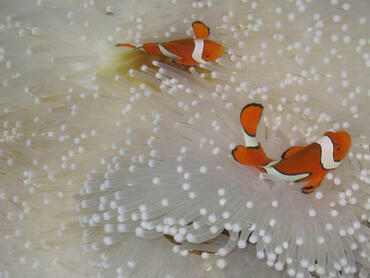 Finally, we'll conclude this article with online references for you. 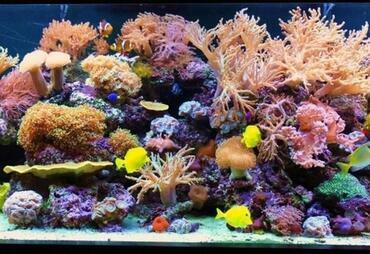 The evolution of the saltwater aquarium has been nothing short of spectacular in the past 20 years. 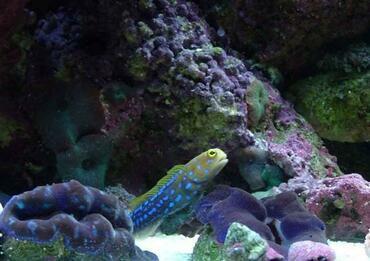 What could previously only be enjoyed by hobbyists living by the ocean can now be successfully undertaken by hobbyists around the world! 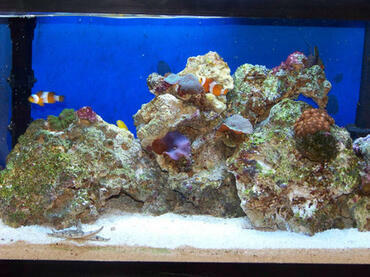 The history of saltwater aquariums is much shorter than that of freshwater aquariums. 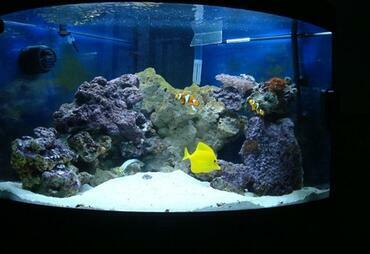 Reasons for this include how much more complicated the sea environment is to encapsulate within a tank as well as limited access to fish and invertebrates. 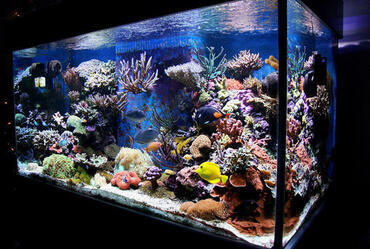 Other than a few very dedicated scientists, saltwater aquarium keeping really didn't hit it big until the 1950s. 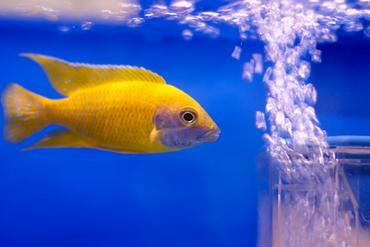 Probably the advances made with different filtration systems is what enabled fish hobbyists to dream big and begin keeping saltwater aquariums. 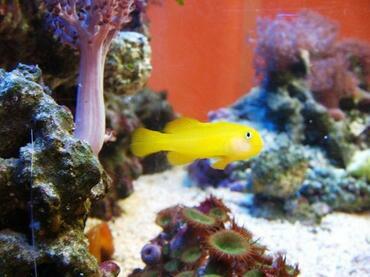 But with the advent of information sharing via published books as well as through the Internet along with developed commercial transportation means (not just airlines as many fish stores also use ground shipping as well) have both brought the saltwater aquarium to the masses. 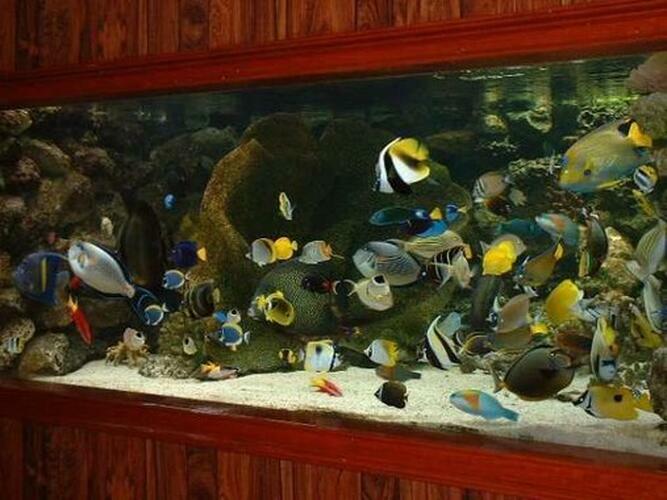 FO stands for "Fish Only." FOWLR stands for "Fish Only With Live Rock." 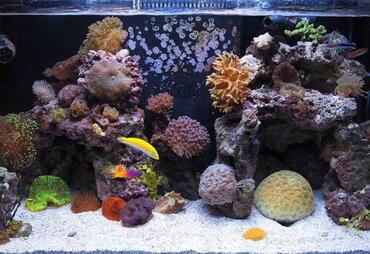 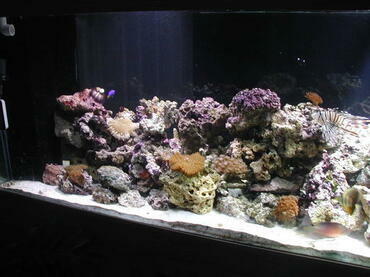 The other choice you have with a marine aquarium (if you're not going to go with FO or FOWLR) is the Reef Tank. 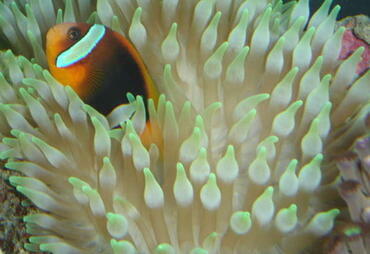 With the first two categories, FO and FOWLR, the idea is that you're not going to have any invertebrates (animals without backbones - we're talking anemones, sponges, and both soft and hard corals). 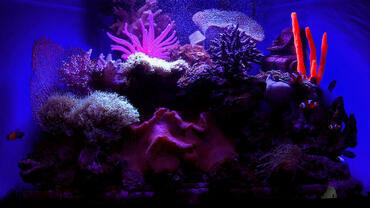 With the Reef Tank, your focus is on the invertebrates. 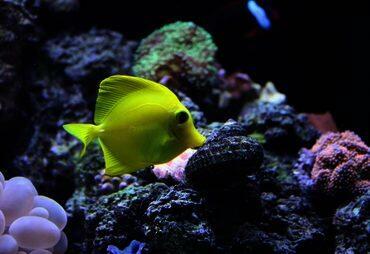 Any fish you have will be a secondary focus. 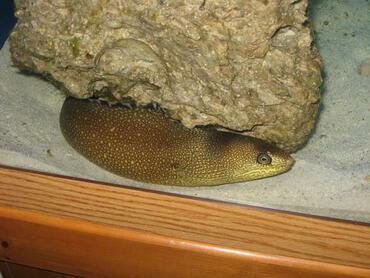 The distinction between FO and FOWLR is on the "Live Rock" aspect. 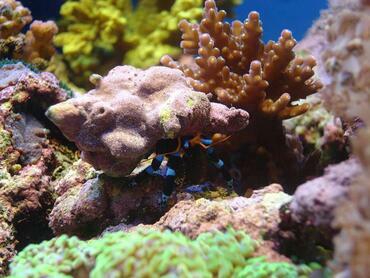 Live Rock refers to rocks from the ocean that have living bacteria and other micro and macro organisims on them which helps with biological filtration. 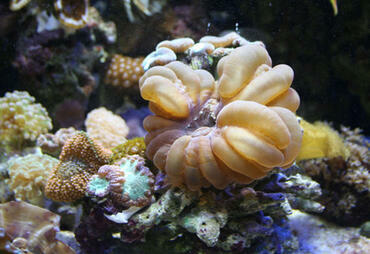 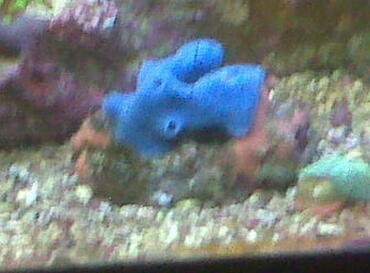 The rock itself isn't living anymore, in fact, it's usually dead coral. 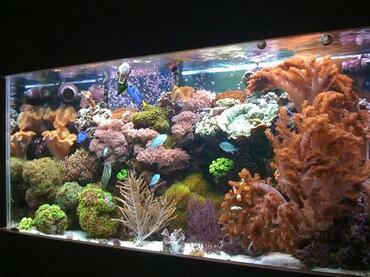 It's important to remember that Reef Tanks will usually use LR as well. 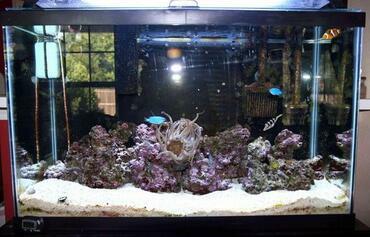 What's in a Saltwater Aquarium? 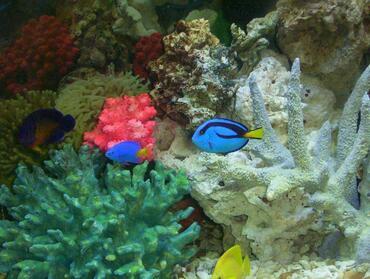 fish - mostly marine tropical fish usually caught from exotic locations. 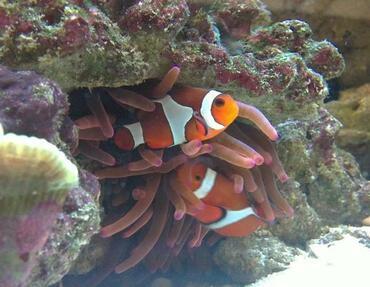 Some of the more popular tropical saltwater fish include: clownfish, damselfish, angelfish, butterflyfish, tangs, bennies and globies. 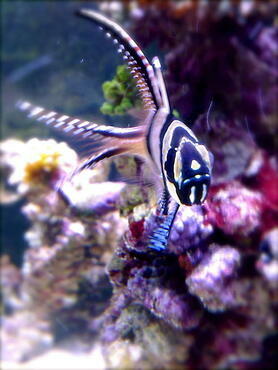 You'll also find puffer fish, porcupine fish, lionfish (also known as turkeyfish), jawfish, and mandarinfish. 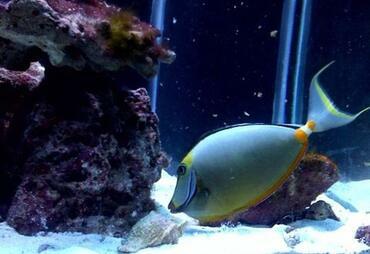 Although it's not that common, you'll also find more exotic fish being kept in tanks all the time. 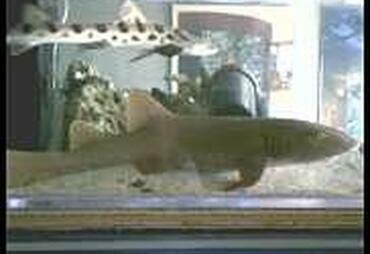 The black banded cat shark is a popular one that often times if bought as an egg. 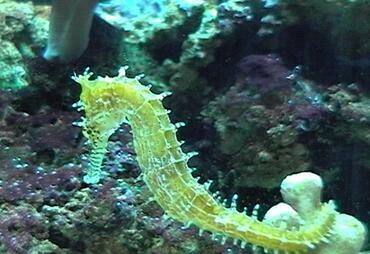 Seahorses are another fish that are difficult to keep in captivity. 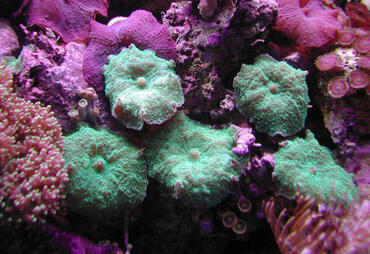 other invertebrates - anemones, sea urchins, starfish, crustaceans (crabs and shrimp), tube worms, and mollusks (clams, snails, and octopuses). 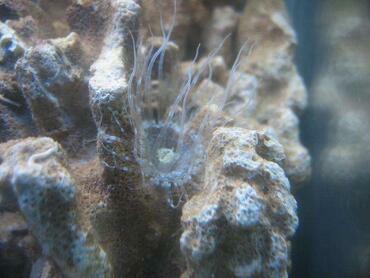 Occasionally, you'll find jellyfish in tanks as well but they require expert care. 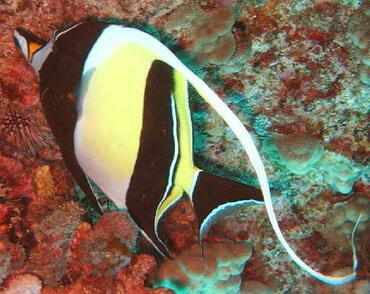 If you've every gone snorkeling or scuba diving near a reef, you were probably amazed with the different kinds of fish you saw and how colorful they were. Marine biologist, Justin Marshall, explains a predominant theory that the reason why reef fish are so colorful is to help scare away predators! 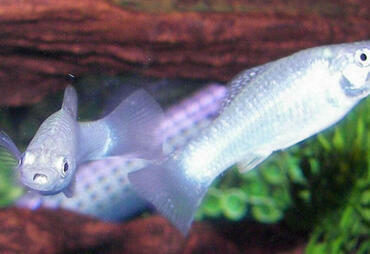 There's no two ways about it. 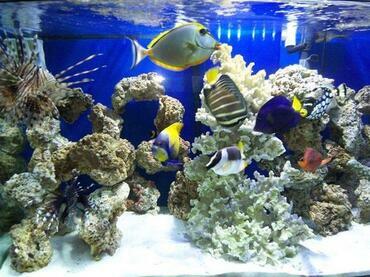 If you are in love with the neon, bright, and flamboyant colors of coral reef fish, the only way you're going to enjoy them at home is with a saltwater tank. 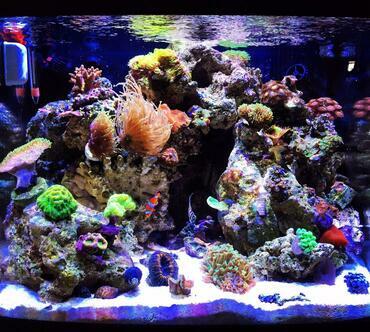 For many fish hobbyists who start out with freshwater tanks, the lure of facing the challenge of keeping saltwater fish is such a strong rhythm beating within them that at some point, they cannot ignore it any longer and succumb to being saltwater CRAZY. 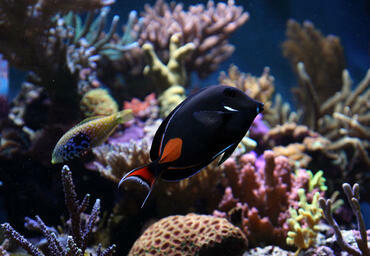 Finally, another pro for keeping a saltwater aquarium is that the public interest helps protect fish in the wild. 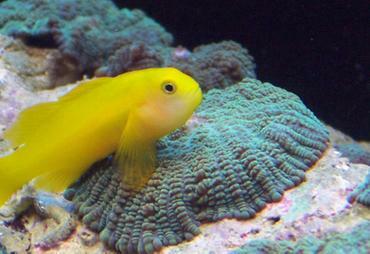 If so many people weren't involved with this hobby, then global impacts to saltwater fish in the wild wouldn't be as widely followed or controlled. 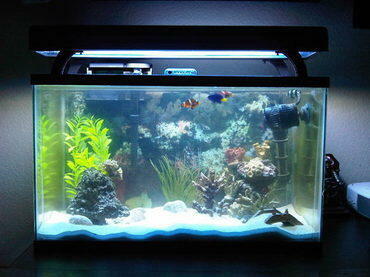 As if freshwater fish owners don't have enough to worry about with their tank water, if you want to keep saltwater fish, you better sit down and get more knowledgeable on the subject. 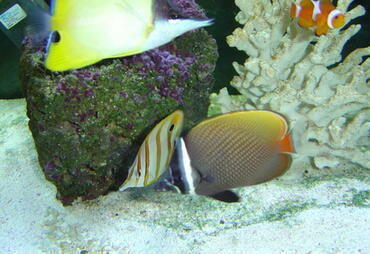 Besides worrying about the temperature, oxygen levels, pH, nitrogen levels, and phosphate level, you'll now need to keep an eye on the saltwater mix. 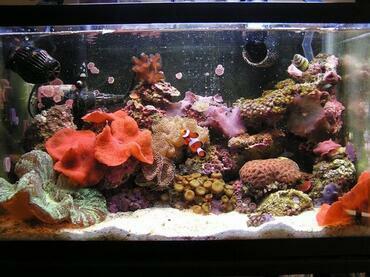 People with saltwater tanks usually have to monitor the specific gravity to make sure that the saltwater density is just right. 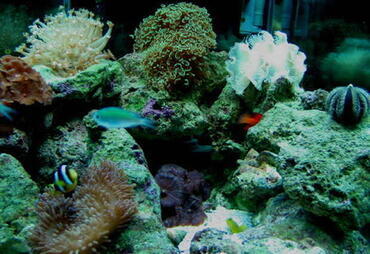 Besides the salinity, you'll need to watch the oxygen level as well. 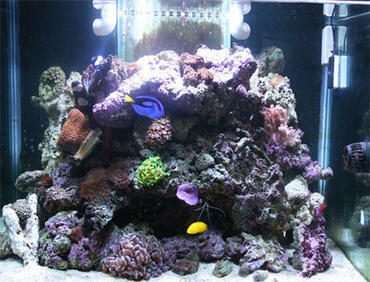 That's because saltwater doesn't hold as much oxygen as freshwater so you'll probably need more aeration. 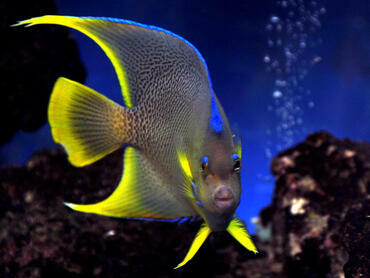 Marine fish are usually more sensitive to problems with the water chemistry than fresh water fish. 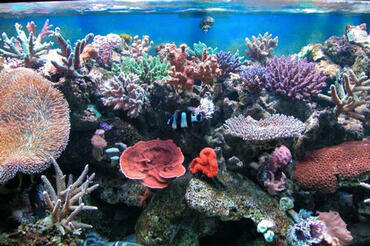 This is because out in the big blue ocean, conditions are usually quite stable. 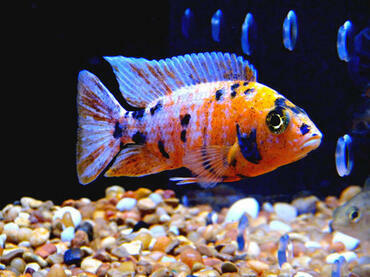 Freshwater fish are a little more used to fluctuating conditions. 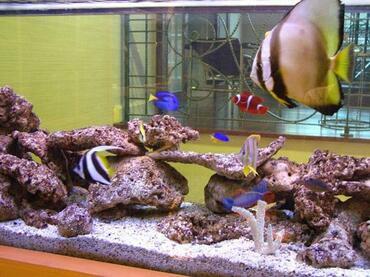 Saltwater fish don't have that kind of tolerance because they haven't had to develop it. 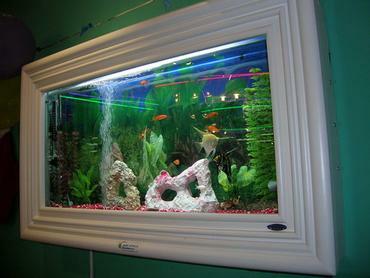 Their fishbowl is so huge that they've never had to worry about nitrite levels before. 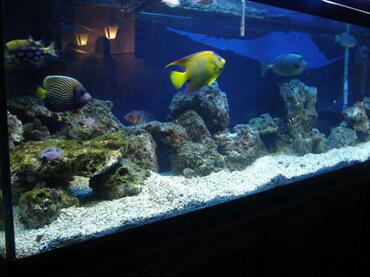 But if you keep them at home, you'll need to monitor aquarium chemical levels. 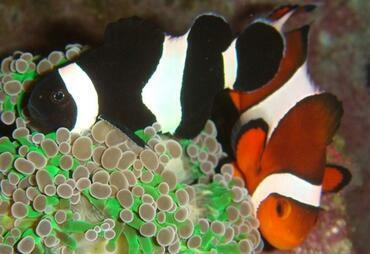 Overall, due to how they are harvested (usually caught in the wild), marine fish cost more. 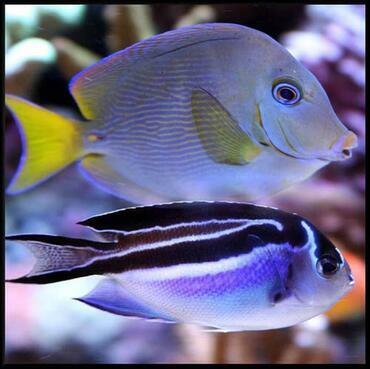 Fish stockers are having more success with farming saltwater fish but for the most part, these fish must be caught in the wild in tropical warm waters and then transferred to your fish store. 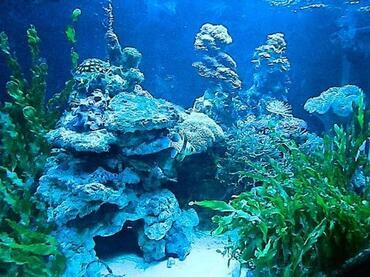 Finally, due to the fact that most of the elements that go into a saltwater tank (fish, plants, live rock, substrate), must be harvested from the wild, the environmental impact is larger than the footprint we leave with freshwater aquariums. 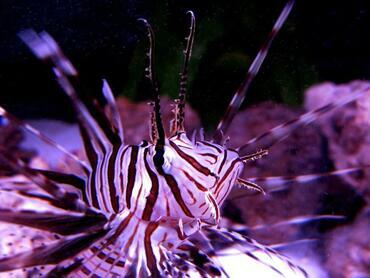 There are issues with how some fish and invertebrates are collected in the wild (reef destruction and fish dying as part of the supply distribution, for example), and aquarists need to be responsible in supporting sustainable practices. 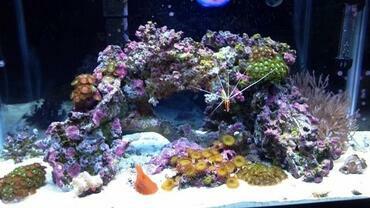 Overall, the decision to start a saltwater aquarium probably has less to do with practical matters (because let's face it, a saltwater tank is harder and more expensive to maintain than a freshwater tank) and more to do with what you want and just gotta have. As long as you're up to the challenge, you'll find more than plenty to put into your tank nowadays. 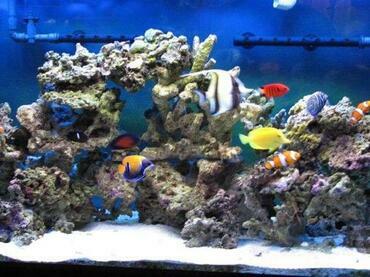 The problem today isn't finding saltwater fish but deciding what will go into your tank before you max it out. 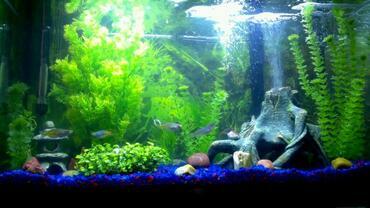 Especially with the Internet, you should be more confident then ever that if you face problems, you'll be able to get help with your tank. 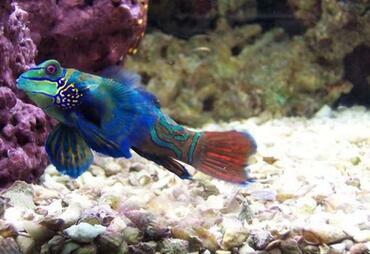 Good luck! 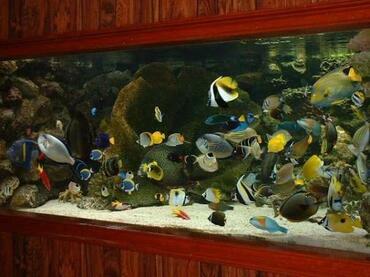 LiveAquaria.com and eTropicals.com (fish and invertebrates from the Caribbean only).